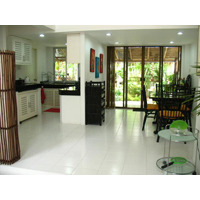 Day 16: Renting a house or other long term accommodation in Phuket. A look at the summary of the weeks expenses and activities, along with the daily expenses. Opening a Thai Bank account is simple, they do whack you hard with the fees if you move out of state / province. What you will get as a westerner is a savings account with a debit card, technically tourist�s cant get accounts, its more about each individual bank and the person running the show, friends help. Leasing a house and 6 month rentals. This month long account of expenses and experiences is primarily designed for those people wishing to stay in Thailand for an extended period of time, on a budget that is less than $500 per month. 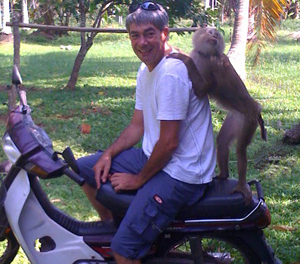 During my time in Thailand I have had the chance to live with a much larger budget for extended periods. Today we will look at those who have a budget in excess of $1,500 per month, still not a lot by western standards. In Thailand you can live extremely well with 45,0000 Baht a month, "this does not include alcohol" as the skies the limit when you throw in everything else associated with alcohol in Thailand. A 2-bedroom house can easily be rented on Phuket for around $600 a month, the one pictured today cost exactly that and was the one I rented for 6 months. Utilities are going to set you back around $150 a month including high speed internet, international cable TV. A car can be rented or bought for around $300 a month; cars are one of the few things foreigners can easily get credit on. Standard lease terms include minimum 6 months, 1st second and last, 3 months up front to move in. As you can see your basic costs are around $1000 on Phuket. The rental costs anywhere else will drop by at least 33% and in some places up to 70% a friend here in Chiang Rai has a 6 bed 2 year old unfurnished place 20k outside of town for $240 a month. 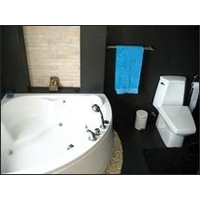 You could go it alone and deal direct, in Phuket I would recommend using an agency that I have used, they have lots of choice and are easy to work with House in Phuket. Other provinces have agents, none have much of a selection though. In Phuket you pay for the convenience of been able to arrive and install within a few hours, with no language barriers or lack of western conveniences and food. Continue Reading Day : Summary of week two expenses.